1. Translation along the plane of the glenoid cavity – Slide/Glide action. 2. Rotation about the humeral axis. 3. 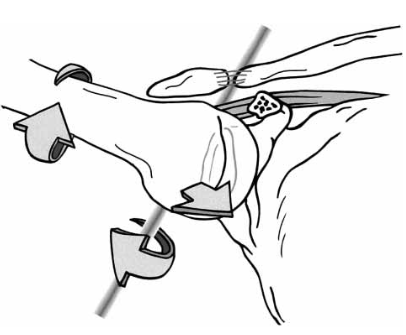 Rolling (Angulation) involving rolling of the humeral head about an axis perpendicular to the humeral shaft. Too much of this and too little translation, can result in pathology (described later). https://www.youtube.com/watch?v=EJxO3S-k1T4&feature=youtu.be – Closed chain progressive.